Someone has cast a spell over the tower and has turned the princess, her favourite monster and the wily witch to stone. 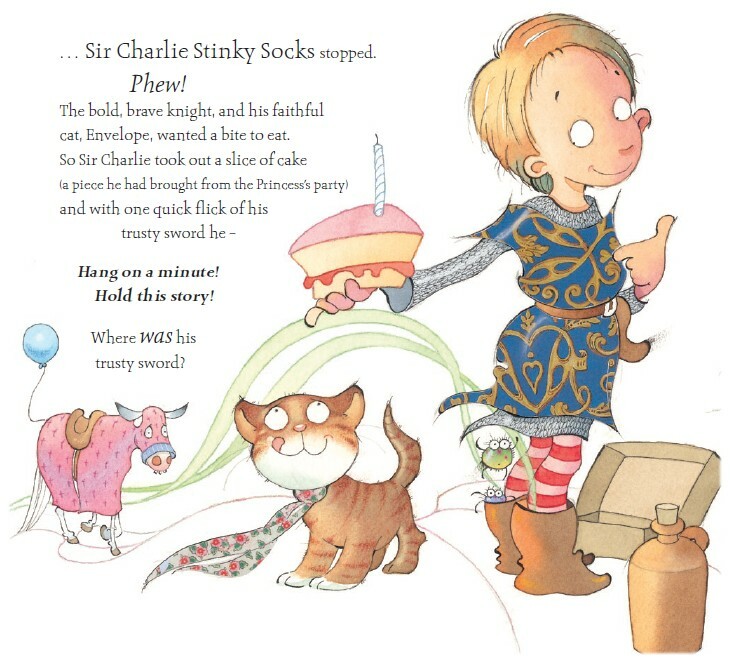 Only Charlie can save them but he is far, far away … but thankfully has just realised that he forgot his trusty sword at the foot of the tower so off he goes with his faithful cat Envelope (great name! ), unaware of what is awaiting him. Time is running out and Charlie needs to hurry, but there are many obstacles on the way! Will he make it on time? Sir Charlie Stinky Socks is back in a third adventure, and this time again we follow our unlikely hero as he takes on another quest full of magical mischief, wickedness and a healthy dose of wackiness! The format will be particularly appealing to the target audience with 4 giant fold out pages. I enjoy Kristina Stephenson’s illustrations, which are clear, vibrant and have a real cheeky feel. I particularly love her wiggly-woos! There is a mix of fonts and text styles which allows for extra emphasis in the story, although sometimes it seems that with the very detailed illustrations as well the pages are a tad too busy. But I guess little ones will love pouring over the pages for ages! 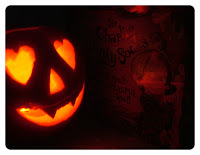 The text is quite long so might be a little bit challenging as a bedtime story for younger children but they will undoubtedly enjoy following smart brave Charlie, a lovely little hero to look up to, to victory.